Dissatisfaction with the nasal tip is relatively common in patients requesting rhinoplasty. There are a number of issues that can cause dissatisfaction. The most common is a tip that is too broad or ‘bulbous’. Other features include tips that are over projecting or too long or drooping tip deformities. The underlying problem is the size and shape of the cartilages that provide the structural integrity of the nasal tip. These cartilages are modified during a rhinoplasty using a number of techniques to reduce them in size and alter their shape. What type of rhinoplasty is required to adjust nasal tip shape? Rhinoplasty can be performed ‘closed’ where the incisions are made inside the nostrils or open where there is a small opening made in the columella which is the narrow skin bridge between the nostrils. An open rhinoplasty is usually required for adjustment of nasal tip shape. 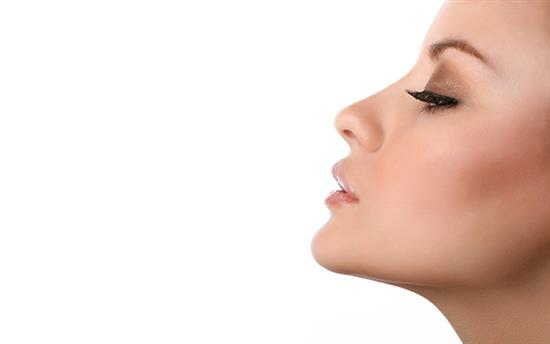 How is the open tip rhinoplasty procedure performed? During an open rhinoplasty procedure, the skin on the tip of the nose will be lifted away to expose the cartilage beneath. This allows the surgeon better access to visualise the cartilage deformity and carry out any adjustments. These adjustments usually require a combination of structurally modifying the shape of the cartilages by reducing them in size but also altering the shape by carefully placing stitches to hold the cartilages in a new position. Occasionally, small grafts of cartilage may also be required to improve the appearance. A ‘graft’ is a piece of tissue which is usually taken from septum on the inside of the nose and used as an ‘add-on’ to enhance the shape of the tip of the nose. This is commonly known as a cartilage graft. This surgery is best performed under general anaesthetic since other adjustments to the nose usually are required in combination. If only work to the tip of the nose is carried out with no surgery to the nasal bridge then you can go home the same day. Otherwise, you will be required to stay the night. What is the recovery from open tip rhinoplasty? The initial recovery is approximately two weeks, during which time any bruising and swelling subside. You should refrain from strenuous exercise for approximately 6 weeks. The final result often takes 6 to 9 months to establish since a mild amount of swelling can persist for some time before all the detail shows through and the tissues have had time to settle. The structure and appearance of your face are very personal, and Mr Chana understands that a rhinoplasty is far from ‘one size fits all’. You’ll be able to have a detailed consultation with him during which he will assess your facial proportions and discuss what can and cannot be achieved. This will provide you with a realistic idea of the likely result that can be achieved. Mr Chana focuses on natural looking results that are bespoke and tailored to the individual, and your subtle alteration in appearance will not alert people to the fact that you have had cosmetic surgery. You should not be surprised if too many people do not notice that you have had surgery since this means that the new shape of your nose is in complete harmony with the rest of your face.